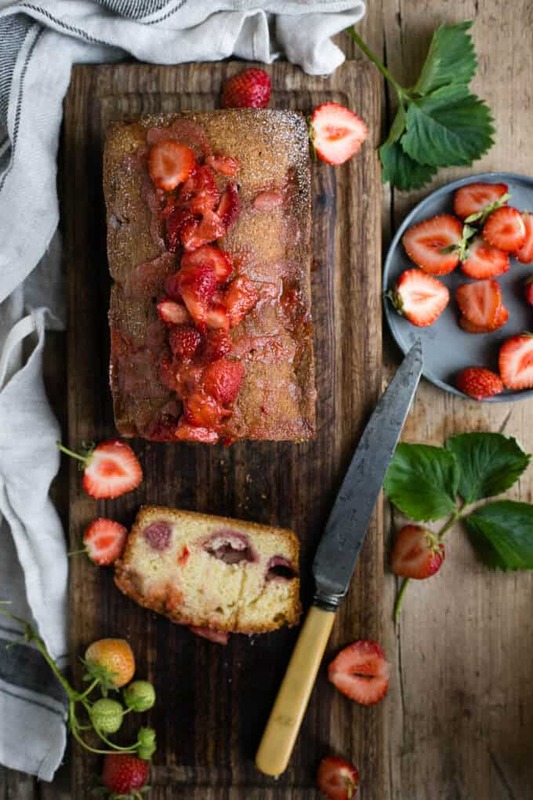 This strawberry summer cake is super simple, yet sooo delicious! 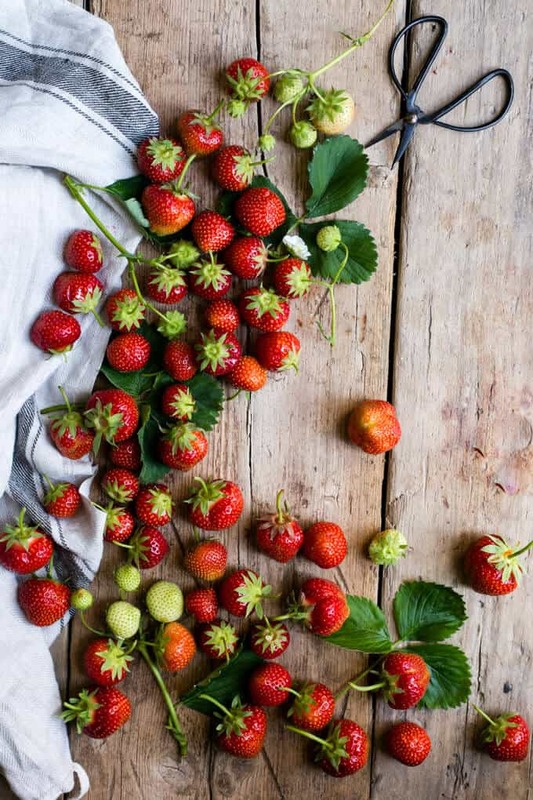 It works really well with strawberries, but you can easily replace them with your favourite fruit! So what’s been happening in my kitchen for over a month? Almost absolutely nothing. Because I’ve been trying to stay away from baking, cooking, and experimenting. Reason being- I got bored and exhausted. And if you follow me along on my Instagram account @anna_banana_co , you may have heard me saying there, that I’ve been staying away from taking food pictures for a good few weeks (3 to be precise, which feels like an eternity for me!). Because it didn’t feel like fun thing to do anymore. Dare I say it, I got bored of taking food pictures. I’ve made a decision to not spend much time in the kitchen, and just enjoy the moment a bit more. Enjoy the food and cooking for what it is. Eat the food without feeding my camera first, and just appreciate food and the joy it gives me, without thinking of what everyone else will think. Because somehow, that joy, disappeared somewhere, and that, more than anything else, was making me feel really miserable. So I have stayed away from photographing food for a little while. However, I have not stayed away from taking pictures… As I have decided to spend a bit more time outdoors, so did my camera. I have been taking it with me for a long walks, day trips, road trips, countryside walks, and the sunset walks. And it feels great. It feels like a breath of fresh air to take pictures outdoors. Perhaps I just got too comfortable in my own surroundings, doing the same thing for quite some time, resulting in feeling bored and uninspired. So this ‘break’, as you can hopefully see, is much needed, to bring me that joy again! I also can’t help, but think that I have oversaturated myself with the information and ‘good advice’. I’ve listened to too many podcasts, read too many blogs, guides, tips, charts, and ‘success stories’, thinking it was all important and if I want to turn this passion into something a bit more serious, I should listen to all of the advice that is out there, the more, the better. Nope. Not at all. Complete opposite. More and more I was listening to/ reading about, more confused, frustrated and hopeless I’ve been feeling. Lesson learned, do not try to take it ALL in. It’s like that old wardrobe trick. More clothes you put in there, less you will use them and you will end up with ‘nothing’ to wear. Taking this little break made me miss all the things that I was feeling overwhelmed with recently. It’s been great for learning new things and pushing myself out of my comfort zone (outdoor photography is much more difficult that I have ever anticipated!). So just in case if you are feeling like you are hitting the wall too, or like you are stuck in your creativity and nothing feels exciting anymore, I suggest you do the same. I remember very well, when starting this blog, I was reading an article about an online creative, who was explaining how easy it is to ‘burn out’ and to loose your creative spark, if you stick to the same thing for a long time. This person started as a food photographer, but slowly started to realize, that she wanted to try different areas of photography. But there was fear. Fear of the unknown, fear of how the others will see it, and more importantly, will they like it? Fear of being unappreciated, misinterpreted, or not understood at all. But she went for it. She listened to her gut, and became one of the most admired photographers in the industry. And I remember, when I was reading it. I thought to myself ‘naaah, that would never be me, because I just want to take the pictures of my food, and I’m happy with that. I do not feel an urge or a need for taking pictures of anything else. I will just stick to that, and that burn out will never happened to me’. Guess what? I was sooooooooo wrong! How can I be interested in taking food photos, but not explore the other areas of photography? Nowadays, I simply think it’s not possible. And if you also think, that you are only going to be interested in food photos, well… wait for it, I guarantee that there will come time, when you just itching to try something else. It’s our nature, we want to explore, discover and hopefully learn along the way. And that’s what I’m doing now. Strolling with my camera, experimenting with different angles, lights, perspectives and subjects. Learning, so hopefully I can be closer to my dream! So I guess, that I’m saying all of this to let you (and me) know it’s OK. It’s OK to have more than one interest. It’s OK to change your mind. It’s OK to make mistakes, and then make some more, as long as you learn from them. It’s OK to take a break, without feeling stressed or worried about missing out. Social media and your blog will still be there, when you are ready to come back to it. And hopefully, after taking a little break, you will find joy in posting again. I know I did! But enough about that! 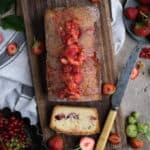 Let’s talk strawberry summer cake! The fact I call it ‘summer cake’, has got nothing to do with only being able to eat it, or make it in the summer. 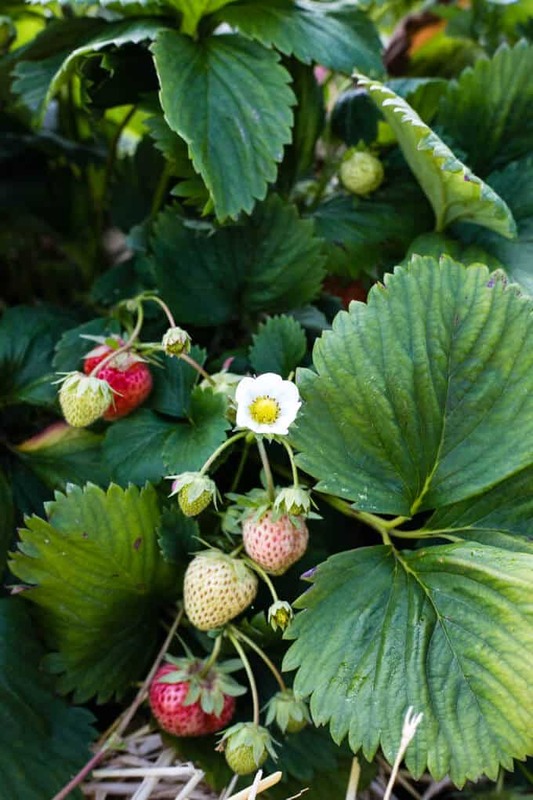 And it’s purely because it goes with many summer fruit we have available at this time of the year. So you could use blueberries, blackberries, apricots, peaches, raspberries, or whichever fruit it is, that tickles your fancy. 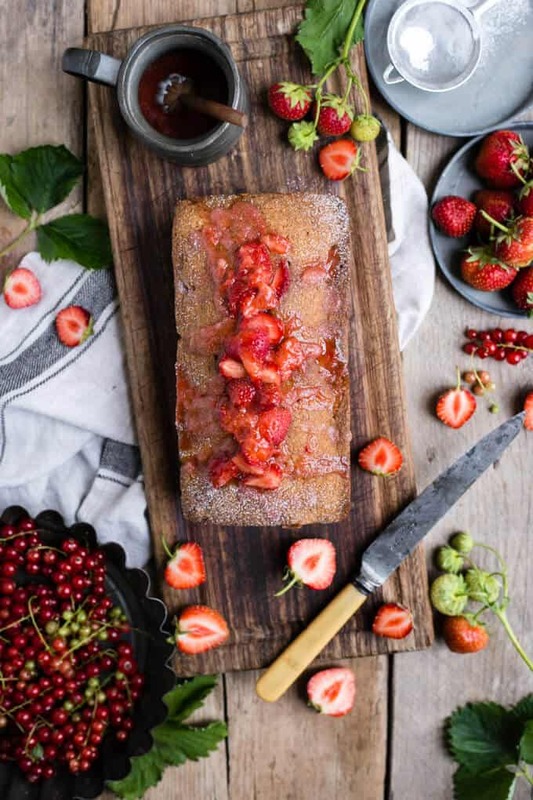 Because I’ve had a bucket full of juicy strawberries, I’ve ended up making this strawberry summer cake. 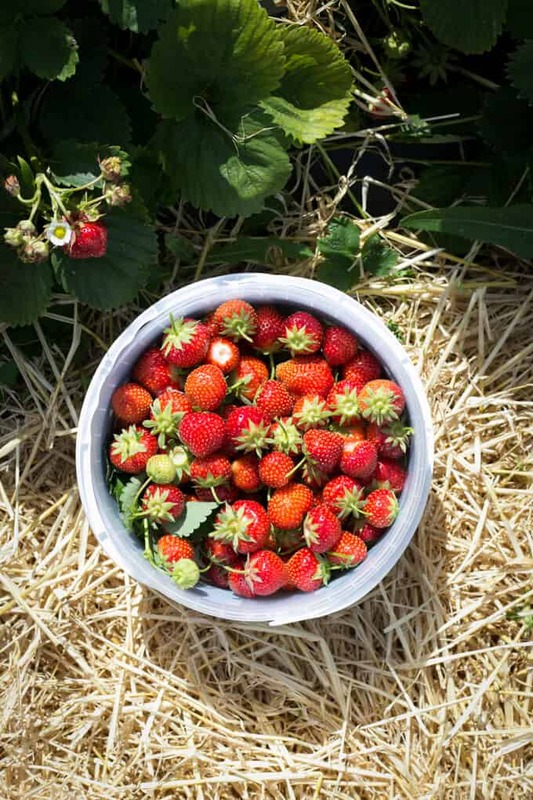 I went to visit my local farm, where you can pick your own fruit and veg, and as predicted, I went slightly OTT with strawberries, so had to put them in a good use! Also, must mention, this cake is made with eggs, therefore it’s not vegan. However, you could try substitute the eggs with either a flax egg (mixture of flax seeds and water) or some nut- based milk and vinegar mixture. Because I haven’t tried to substitute the eggs in this recipe, I can’t guarantee it will work. 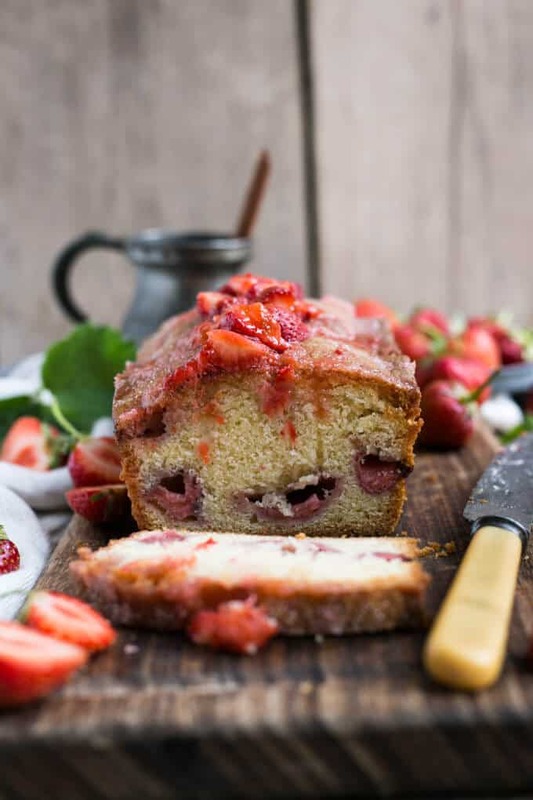 This strawberry cake is also very easy to make, it’s pretty much all in one bowl. And the sugary drizzle on top is optional, some of my taste testers found it too sweet, so you can take it or leave it, but I definitely think the fruit drizzle is a must! Pre-heat the oven to 180C (160C fan assisted). Butter a loaf tin (mine was 900g) and line the base and ends with a long strip of baking paper. Place the flour, butter, sugar, eggs and vanilla in a large bowl and beat it with an electric whisk for about 5 minutes, until the mixture becomes pale and creamy. Spread on-third of the cake mix into the tin, then throw a small handfull of fruit on top. Repeat with another layer of cake mix and fruit, and finish off with final layer of remaining cake mix. Bake for 1 hour until inserted skewer comes out clean. If using a drizzle, poke your cake gently with a skewer, mix any leftover fruit with sugar and lemon juice and pour on top of the cake. Leave the cake in the tin to cool down. Remove from the tin, and enjoy! This cake reminds me sooo much of the cake my mum used to make. She also used it with many varieties of fruit, and plum was her favourite! Thank you for reminding me, I will be trying it for sure! That makes me so happy Barbara!